Internal or external regulation from 0º to 15º. High-density polyethylene splint with internal or external regulation from 0º to 15º. 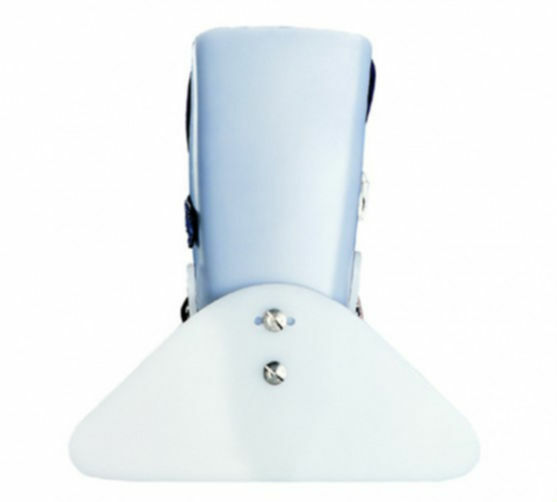 The splint incorporates a system that allows us to regulate plantar and dorsal flexion over a 75º range in 15º intervals. The internal lining is bouclé in washable breathable cotton. 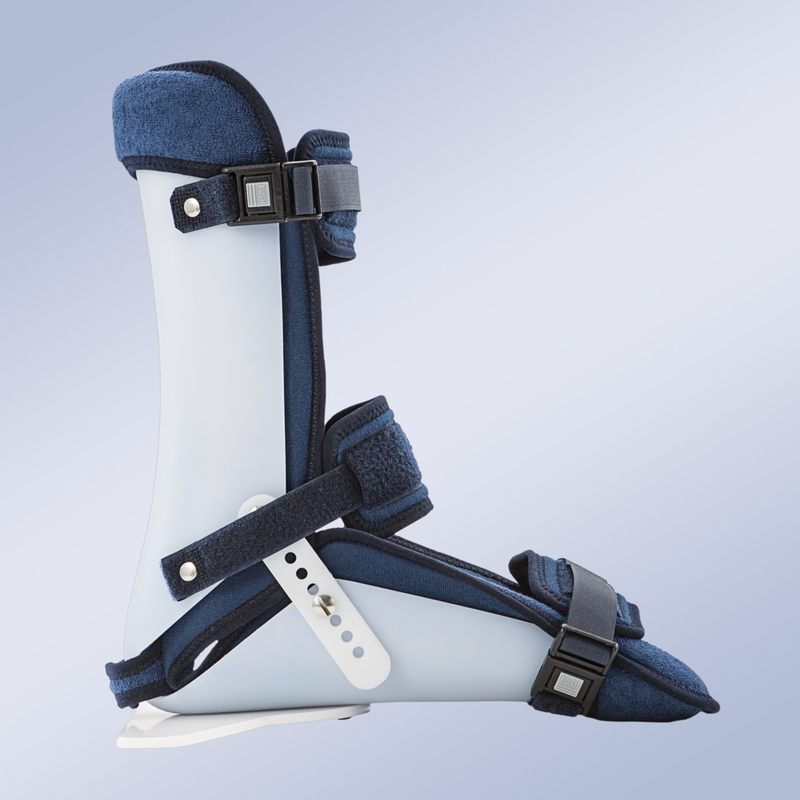 Its fastening system comprises Velcro webbing with protection pads. Can be adapted to both the left and right foot. Indications: Post-operative therapy of the knee, hip and foot, whenever rotation control of the lower member is necessary (neutral position, internal or external rotation), As a splint for the positional control of the lower extremity in patients bed-ridden for long periods of time (intensive care unit), As a system to prevent deformities in bedridden patients (prevention), Hemiplegia, Paralysis of lower member, Chronic pain of the plantar fascia (plantar fascitis).